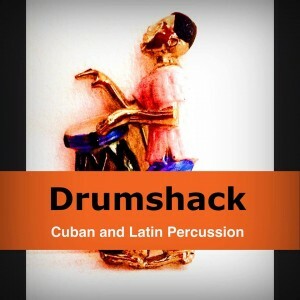 Ade is well known in percussion communities for his passion and commitment to Cuban music, particularly Rumba. With experience of playing and performing with various groups notably La Timbala, Ade has cut his teeth in the percussion world and performed with line-ups at Manchester Jazz Festival, Drum Camp and other festivals. Having completed OVM’s Roots of Cuba course under the direction of Raz, Ade looked towards Christian Weaver and La Timbala to progress in his journey as a Rumbero. Ade has studied in Havana under the tutelage of Chaguito , Amado from Clave Y Guaguanco and Giovani of Rumberos de Cuba. Outside of the percussion world, Ade is an experienced and qualified youth worker and has a way of engaging people positively in education and participation. Combining professional group work skills with the passion and knowledge gained from studying and playing Cuban, African, Caribbean and Latin music Ade makes for a great teacher, that will offer something fun interesting and challenging for beginner to experienced percussionist. Tickets are available in advance for £18 using the “Buy Now” button above or for £20 on the day. Whether buying in advance or on the day please email us to reserve a place and say if you can bring congas so we have an idea of numbers. If you have congas and are able to bring them, please do. The workshop will cater for a mixed abilities group. Beginners will be welcome, but some prior experience of hand drumming would be beneficial. We will be using congas, clave, bell, shekere and voice. The workshop will aim to develop and guide the improvement of conga technique and sound. There will be explanations and work on Tumbao and clave understanding with a focus on developing knowledge for contemporary variations of the rhythm. Learning and playing in an ensemble arrangement for a spiritual and folkloric rhythm “Iyesa” and the learning and singing of a sequence dedicated to a Yoruba deity “Oshun” who reigns over love, intimacy, beauty, wealth and diplomacy. The aim is to scope interest to develop a regular study group based in Derby drawing from the surrounding areas and further afield. Future workshops will become more tailored to the level of the group, based on the outcomes from this initial trial.